Most workplace injuries to the back or spine occur because there is an aspect of the work environment that is unsafe. 12% of work-related injuries involve harming of the spinal cord. Most workplace back injuries occur because there is an aspect of the work environment that is unsafe. Injuries at work happen in many different ways, but the fact always remains that the results can seriously affect your ability to continue to work and lead a normal life. In order to ensure you’re not left in a situation where you can’t move ahead, you and your attorney will look closely at the evidence to prove that the conditions you were working in were responsible for putting you in this position. To be able to understand and evaluate where responsibility lies in your particular case, it helps to consider standard work environments where it is common for such injuries to occur and what precautions every employer should be taking. Continued Maintenance: Employers are responsible for making sure the work environment equipment and devices being used are maintained, updated, and in good repair. Temperature: Working conditions should be kept at a reasonable temperature during work hours as extreme cold and heat can affect the employee’s health and how they function. Lighting: Lighting should be suitable to conditions - emergency lighting must be provided in cases where lighting failure may occur and create a dangerous situation. Cleanliness: The environment should be kept clean and organized. Things shouldn’t be left out in ways that could create unexpected danger. Floors: Floors shouldn’t be uneven or slippery and kept free of abstructions that may cause a slip and fall. Falls: Tanks must be covered, as well as anything that may be a risk of falling into should be fenced in. Windows: Windows should be translucent, be made of safe material, and have screens or elements that keep them safe when they are open. Escalators: Escalators should function safely, equipped with necessary safety devices such as easily accessible safety stop controls. Employers are responsible for all things that may harm you in your job and taking the necessary precautions to stop it. They should always explain possible risks that may be involved and ensure that these things will be controlled. You should have been provided with all the training necessary in order to carry out your job safely. If any injury does occur they must report it to the health and safety executive. It is imperative to evaluate how such conditions were handled and if everything was executed in the safest way. If it is discovered that a mistake was made and someone else could be responsible for your injury, you deserve help. This should never have happened to you and you should not have to face the repercussions of for someone else’s carelessness on your own. Extreme negligence: Where it can be proven that your employer was aware that the work conditions were unsafe. Inadequate Workers Comp Insurance: If it can be proven that the employer had inadequate workers compensation insurance, you may be able to file a lawsuit. Issues With Your Workman’s Comp Claim: If your claim is denied or your employer gives you grief about it, you could take them to court. Third Party Negligence: If you can prove that a third party was responsible for your injury, you could file a workplace injury lawsuit against them. Determining exactly who is responsible for your injury can be very difficult. 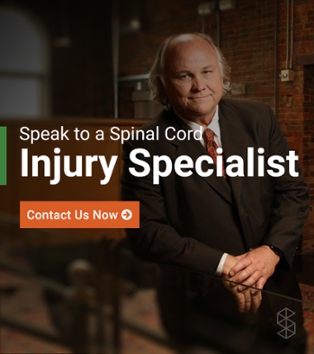 An experienced injury attorney can help you undergo a full investigation to determine what your legal rights are and if you should file a lawsuit against the company. Workers compensation benefits should pay for your medical bills, therapy, out of pocket expenses, costs of transportation and about ⅔ of the wages you lost while on medical leave. Weekly benefits are given to workers if the injury is severe enough that you cannot return to work, temporarily or permanently. Depending on the state you live in, whether you are unable to return to work and the severity of your workplace injury will determine what benefits you may be entitled to. Time loss compensation benefits are paid on a periodic basis, usually once or twice per month. Some states provide you with funds when you have a ‘loss of earning power,’ which is often provided if you have a ‘light-duty’ or part-time position. In this case the employer would pay you the difference of the amount you are making now in comparison to what you were making before. If you have been permanently disabled by this injury, you qualify for a workers compensation pension. This will give you receive a regular percentage of what you would normally have earned at the time of your injury. 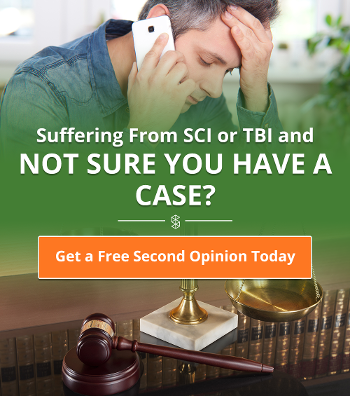 Your attorney will speak with your doctors to establish how your injury has affected your ability to work and will do everything to get you the compensation warranted. Do not hesitate to reach out for help from people who are experts at handling cases just like yours. You are not alone and allowing others to assist you through this difficult time will help relieve some of the financial and emotional burdens and get you on the way to the recovery you deserve.